It’s time, guys. 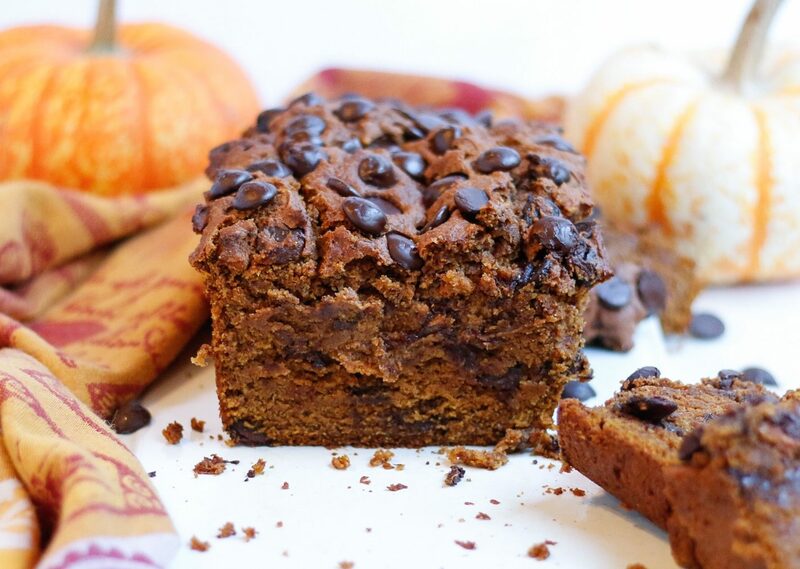 Pumpkin season is fully upon us, and we must embrace it! Fall really hit hard and fast, yet I feel like it was summer about 2 minutes ago. Now, suddenly it’s cold, the leaves are falling, and all I want to do is stay home, bake, and be cozy. Speaking of baking, it’s crazy to think that of all the pumpkin things I’ve meddled with in the past, I have NEVER made a pumpkin bread until now! 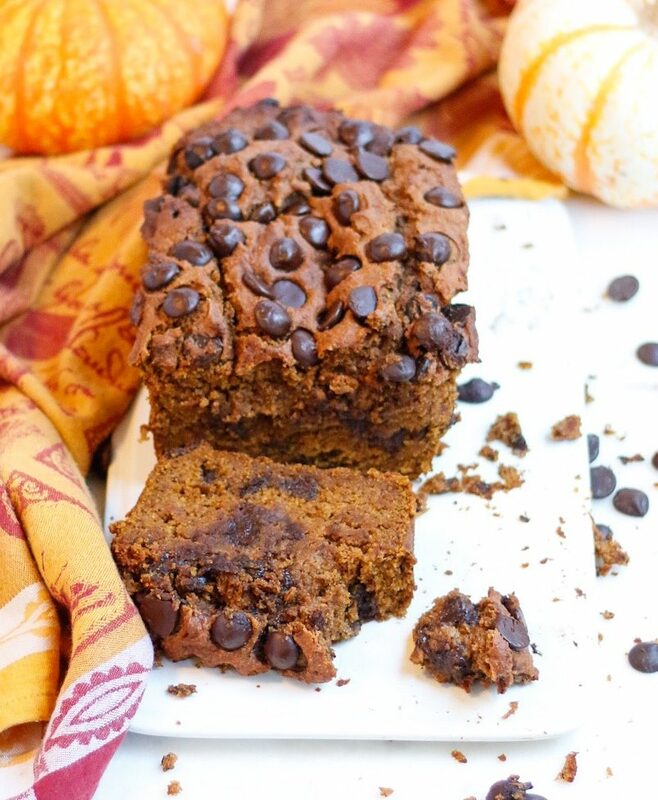 When I took an IG poll a month or so ago, I got about 10 requests for something of the sort, so I was stoked when I nailed this Pumpkin Chocolate Chip Bread on the first recipe test. Don’t worry, I’ve since tested it several more times, and it has never lasted more than 24 hours before being devoured by friends and family…so you KNOW it’s legit. 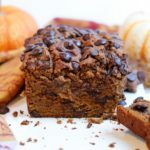 While we’re on the topic of Instagram polls… I also asked the wise people of IG about the type of mix-ins they prefer for pumpkin bread, and I truly thought there might be a riot if I didn’t make this a Pumpkin Chocolate Chip Bread. I mean, the people felt STRONGLY for chocolate chips…I had more than 10x the amount of people who usually respond answer all 3 polls on this subject, and chocolate swept the house. (Which truly made me happy, btw… you are my people!) And if you haven’t jumped on board the Enjoy Life dairy-free, soy-free, nut-free chips yet, IT IS TIME! They taste amazing and are perfect to accommodate any food allergy of those who might be enjoying your treats this season. 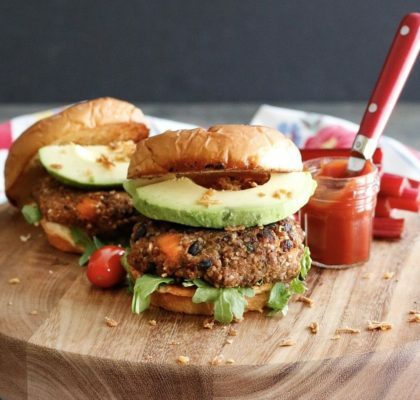 The best part is, while this recipe tastes decadent, rich, and you just want the loaf to never end… it’s actually low-sugar thanks to the Vitafiber* syrup, and low fat thanks to the pumpkin taking place of the majority of the oil. Don’t worry, it’s still extremely moist (sorry, I had to use that word- there will be no dry, crumbly pumpkin cake in my house!) and tastes incredible. 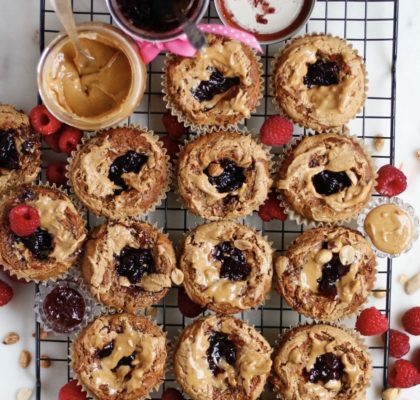 This will be your new obsession, whether it’s for breakfast, snack, dessert, or would even make the perfect hostess gift for a holiday party this season! *20% off purchases through this link when you use the code VFELLENW20 at checkout! 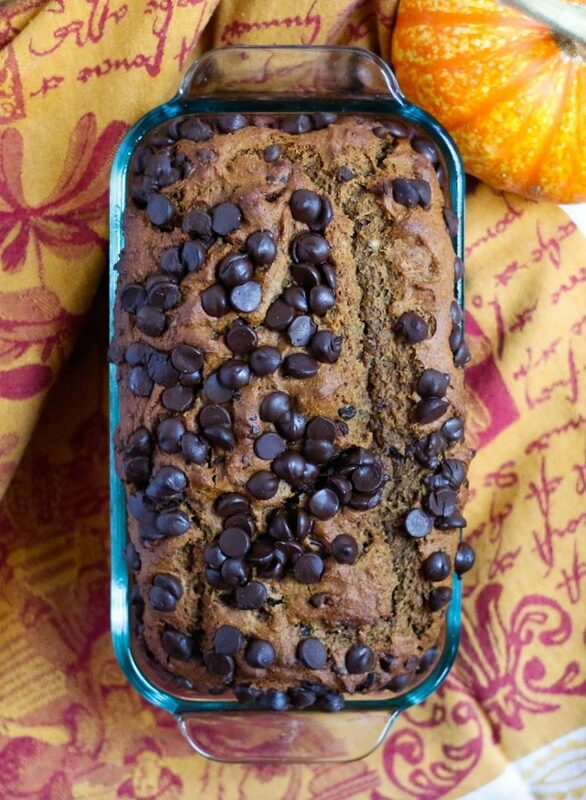 Pillowy soft, yet decadent, this vegan Pumpkin Chocolate Chip Bread is promising to be your go-to breakfast, snack, dessert, and hostess gift this fall. The best part? It can be made in one bowl and only requires 10 minutes of active cooking time! Combine all the dry ingredients together in a bowl until evenly mixed. Add the wet ingredients and stir just until combined. Fold in 3/4 cup (or more!) 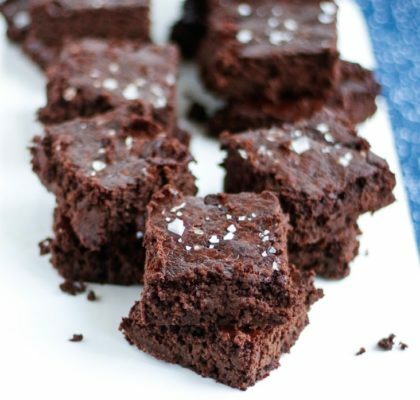 of chocolate chips (or any mix-in!). Pour the batter into a greased standard sized loaf pan. Sprinkle remaining chocolate chips on top. Bake for 45-55 minutes until the top is crisp and a toothpick inserted into the center of the bread comes out clean. Remove from the oven and allow to cool in the pan at least 30 minutes. Pop the bread out of the pan, slice, and serve. Store at room temperature. Note: I baked my bread in a glass loaf pan. If using a metal loaf pan, raise heat to 350F and check on it at the 40 minute mark, then every 3-4 minutes thereafter until it reaches doneness of your liking.